The world’s first 5 star hostel. 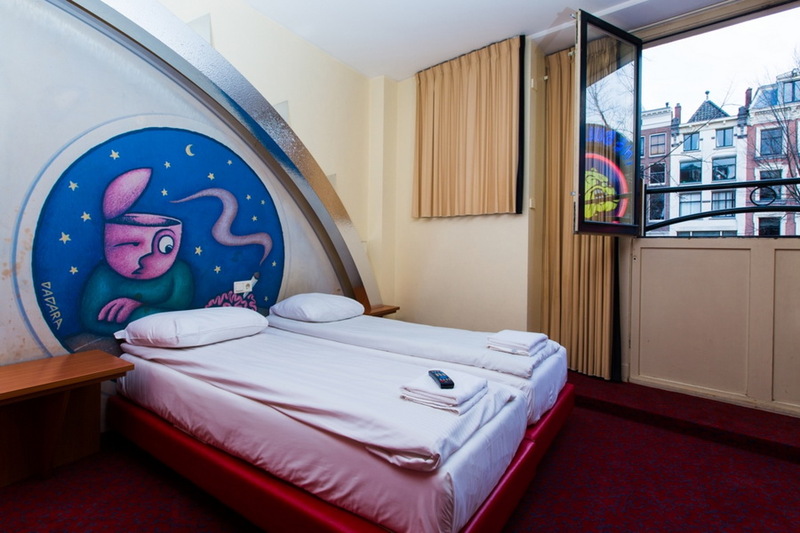 Wake up in one of the highest rated hostels in the world, located in the middle of one of the most visually stunning cities in the world! 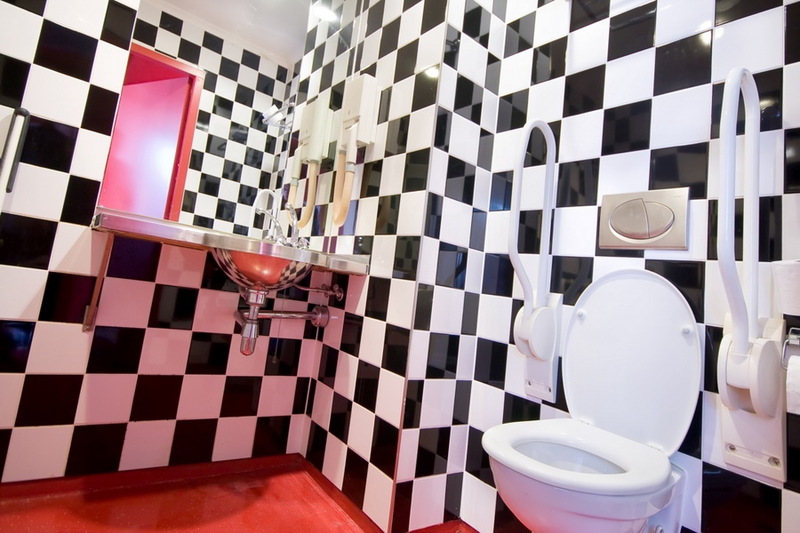 The Bulldog Hostel Amsterdam is loaded with that typical international and liberal atmosphere that makes Amsterdam so special … besides other things. Our elevator needs to be replaced! The elevator is not working during weekdays! In the weekend starting Friday 22nd 15.00 it will be active as well as on the 29th after 15.00 our elevator will be fully operational again. Sorry for the possible inconvenience! 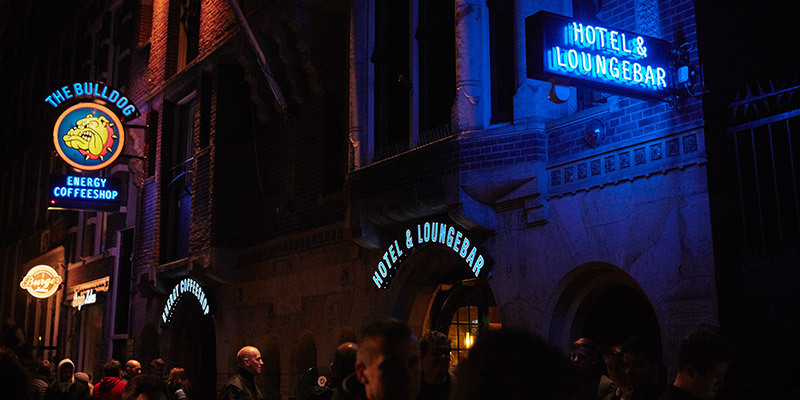 A world famous hangout, frequented by stars. On the main RED LIGHT canal bank. Secure, comfortable & easy to locate .. enjoy your stay, the bar-lounge have some good food .. or pop to the coffee shop … be warned … gives appetite, laughing & a sense of extreme well being! Roof top & street terrace gardens for high & low days. All tastes catered to. Such a very mix of people stay here every time. 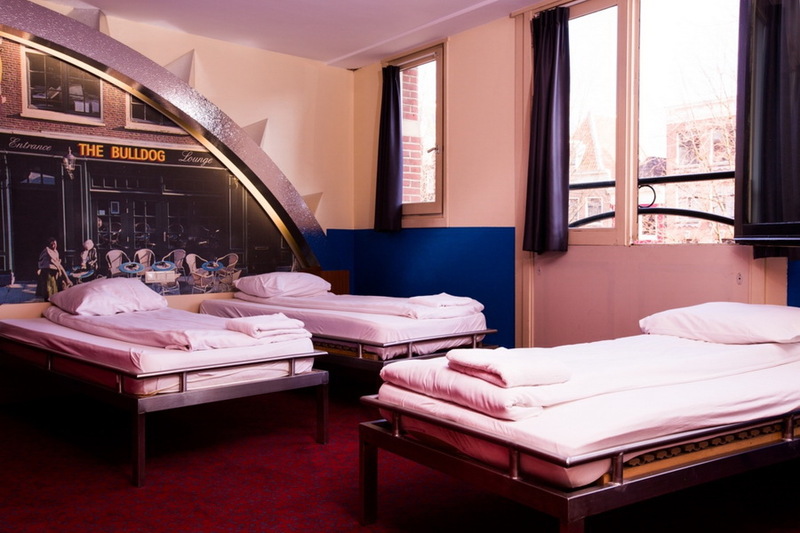 The Bulldog was a great hostel to stay at while in Amsterdam! Wonderful facilities, friendly staff, and welcoming atmosphere. 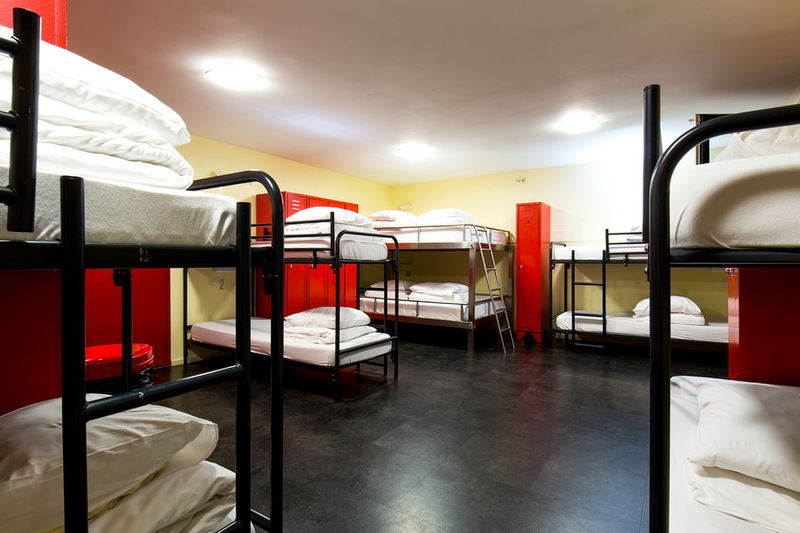 This was my very first hostel experience while traveling Europe, and I would definitely recommend it to other student travelers. First time in Amsterdam and it won’t be my last and I’m sure I’ll stay here again. Staff were extremely helpful and friendly. The rooms were in perfect order and the food was excellent. The atmosphere there was nice and chilled too! Can’t wait to come back! This place is just great: friendly staff; ideally located; there are all of you need in the room; terrace on the roof (! 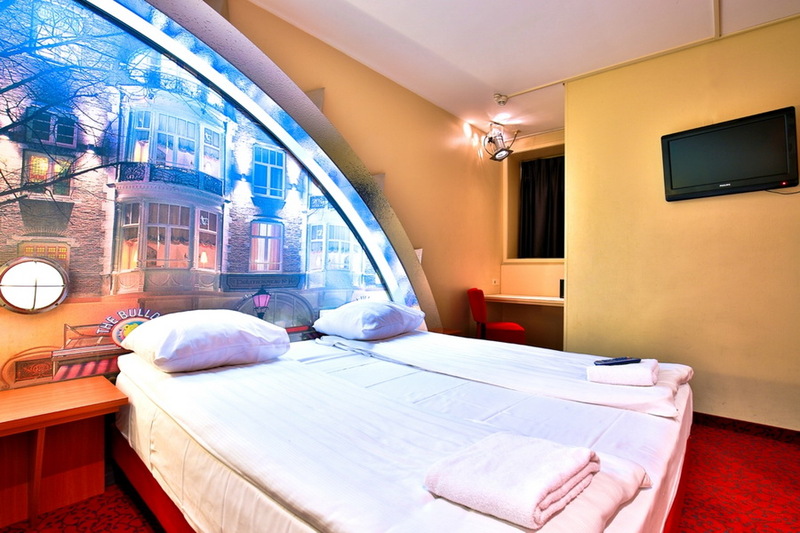 ); awesome for a hostel! Great place to stay . Very central location and superb staff especially reception department, very professional and friendly. for your loung‘n, chill’n, drink‘n & puff’n needs! 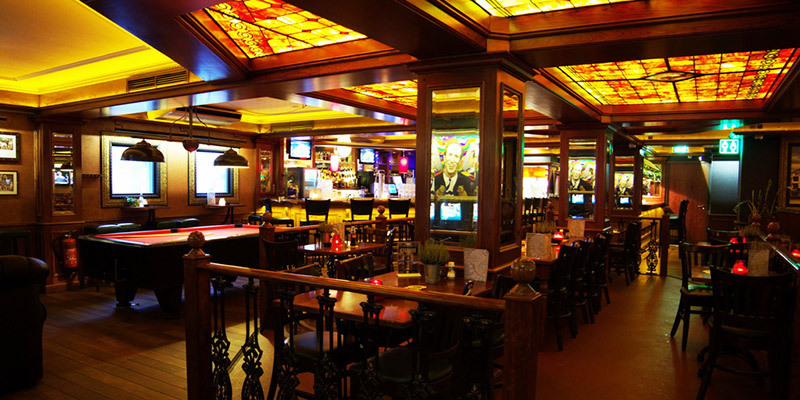 Our smoker friendly bar (no tobacco!) is always lively, always loud, always fun. Every Friday and Saturday you can enjoy live DJ’s bringing you the latest and greatest music and every night you can enjoy the laid back living room concept that makes The Bulldog Hotel Lounge Bar the place to be. You”ll meet travelers from around the world, maybe bump into a celebrity or two and definitely have some stories to tell! Can’t be missed in the direct surrounding of the The Bulldog Hotel. From a underground smokers-den to a coffeeshop empire. The Bulldog’s success-story reads like an American dream and as such could have filled an episode of Oprah. The Bulldog No. 90 was the first coffeeshop in Amsterdam and laid the benchmark for the contemporary coffeeshop. 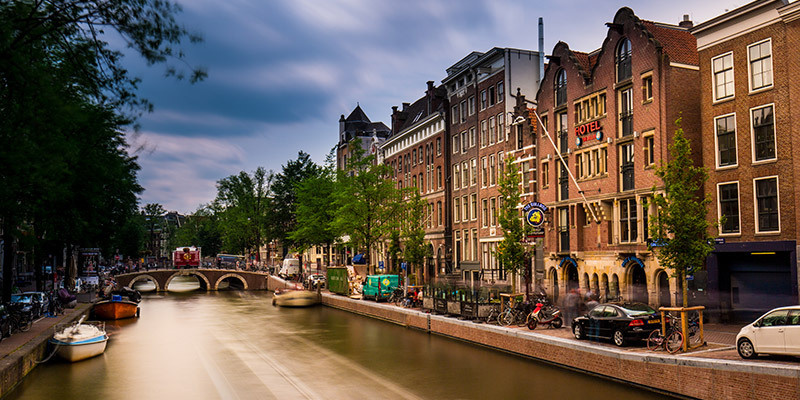 What once began in a cellar, has grown into an ironclad trade-name with five locations and a hotel in Amsterdam, locations in Canada and a merchandising line.